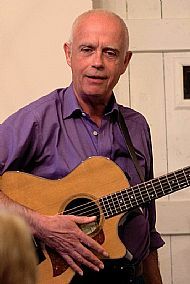 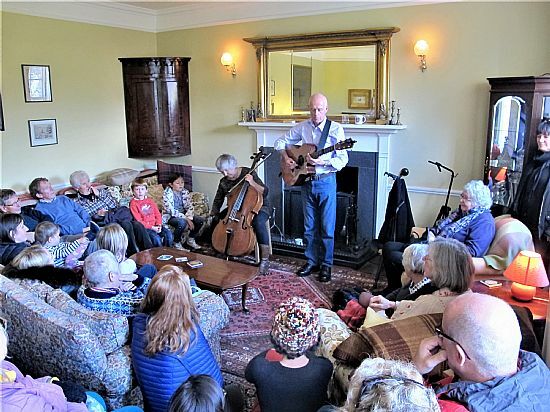 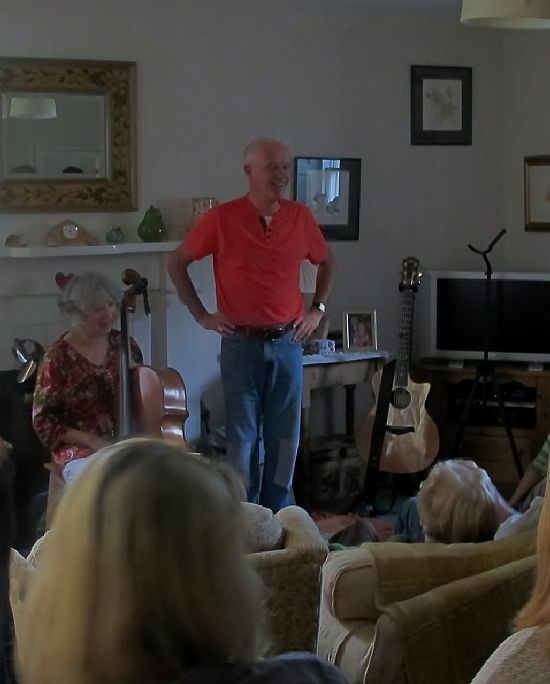 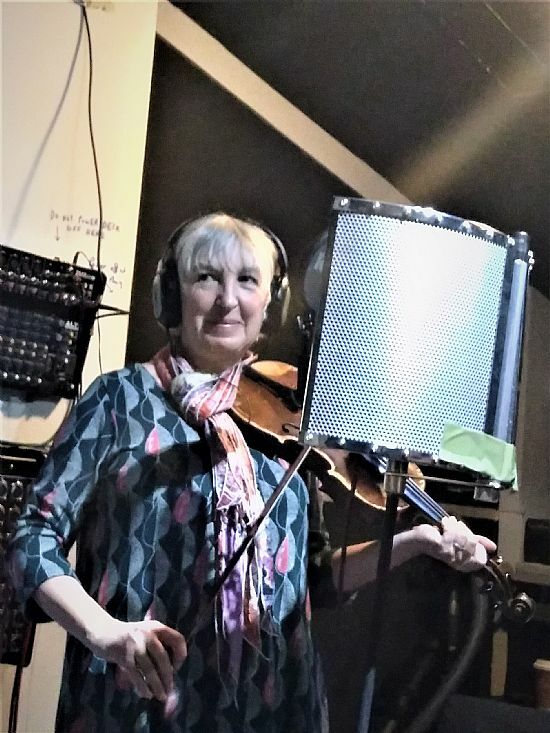 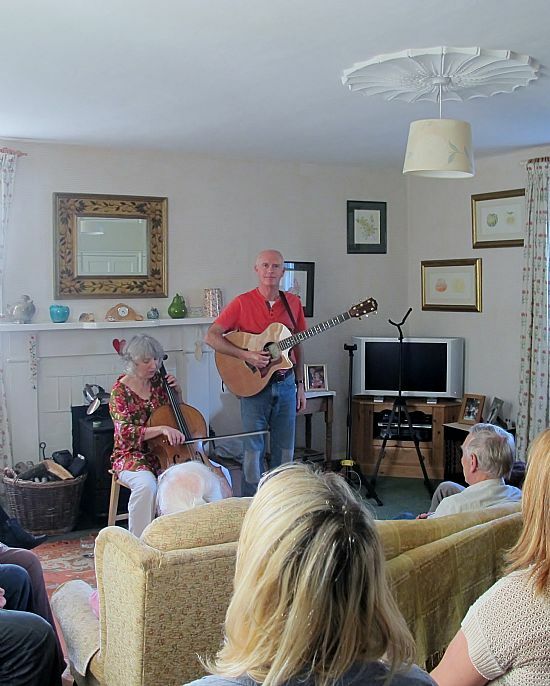 'Peeking in at the Neighbours' concert in Liz and Roger's home, October 2014. 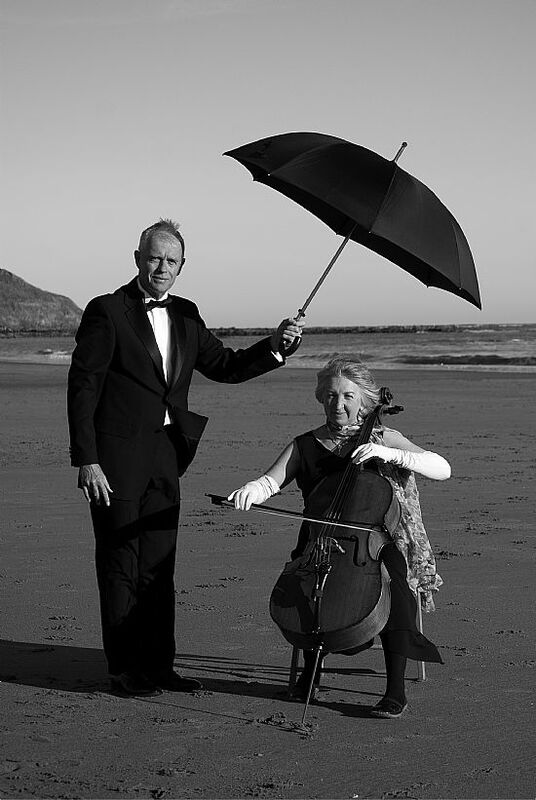 Photograph by Liz Broumley. 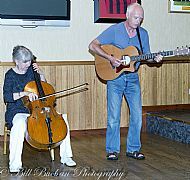 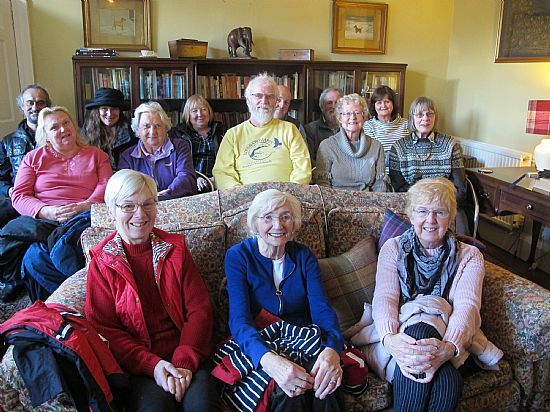 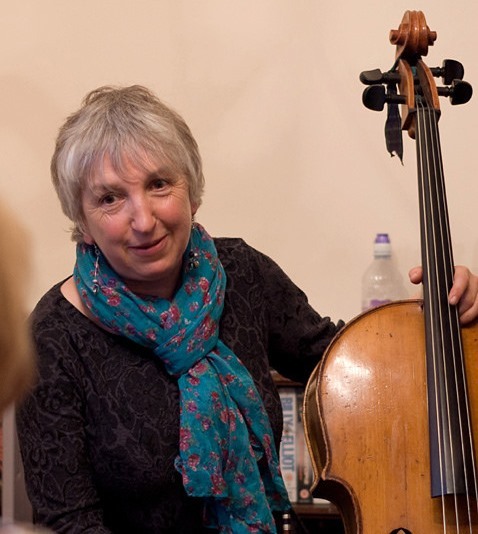 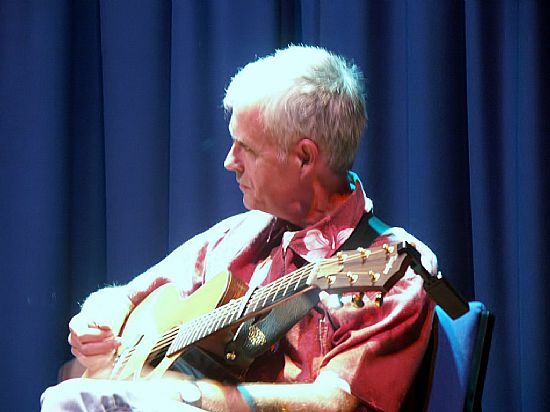 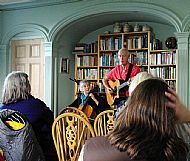 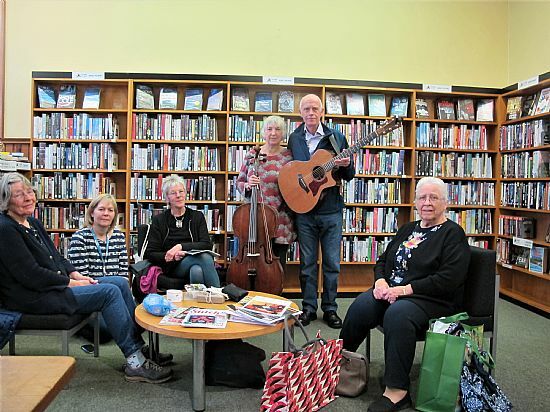 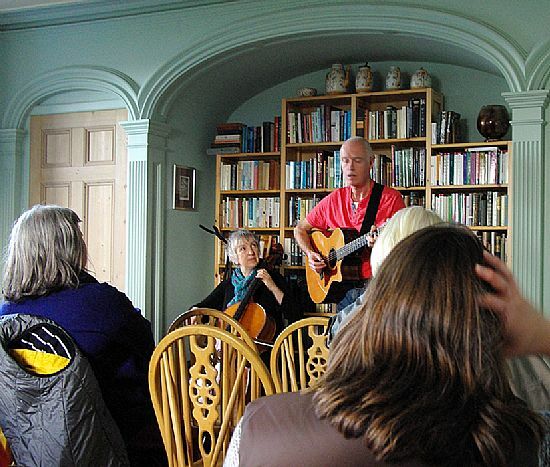 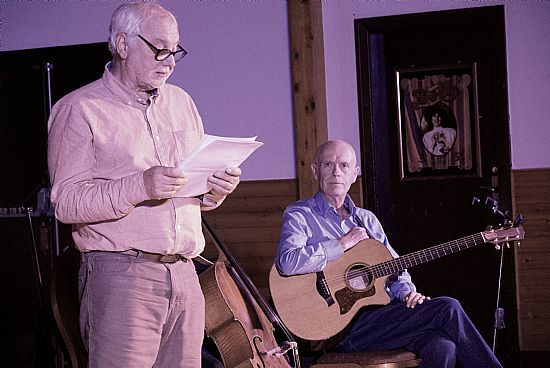 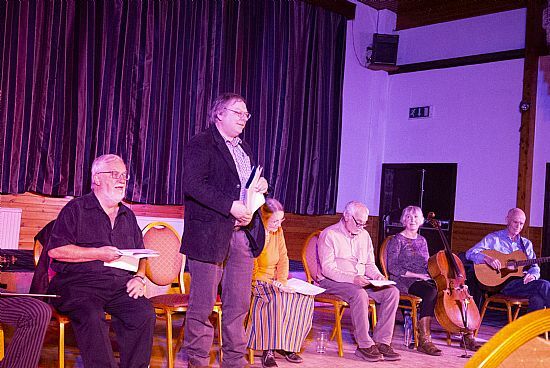 Black Isle Writers Group gig, May 2014. 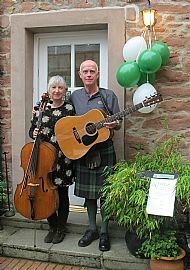 October 2013 'Peeking in at the neighbours' - Cromarty. A music performance in Julie and Jeremy's house. 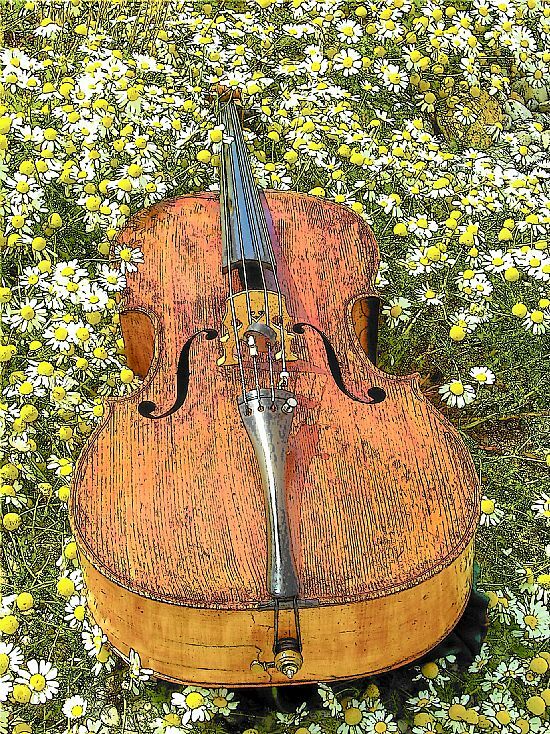 An idea imported from Holland. 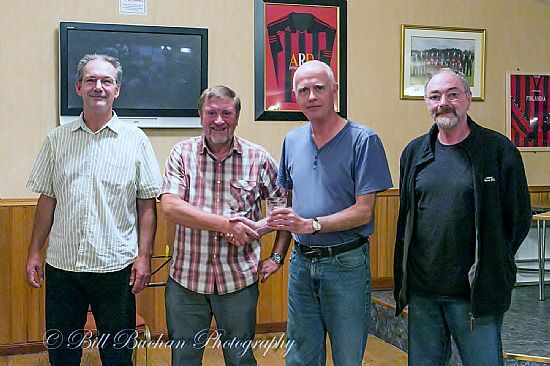 Presentation of the winner's trophy at the Singer/songwriter competition, Ugie festival near Peterhead, July 2013. 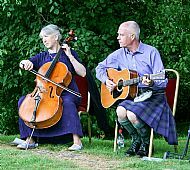 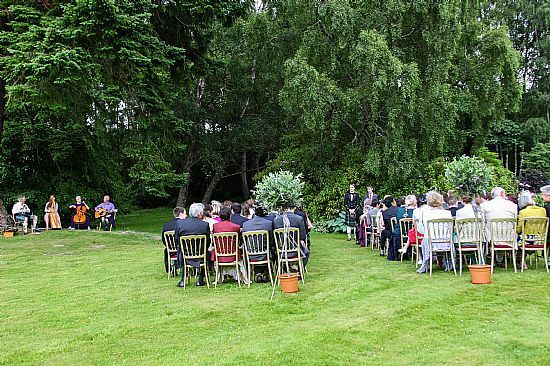 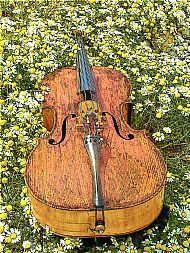 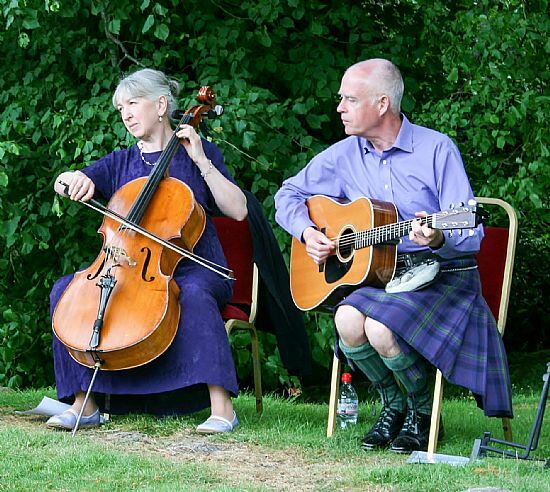 Music before the ceremony at Robbie and Kai's wedding, Strathpeffer, July 2013. 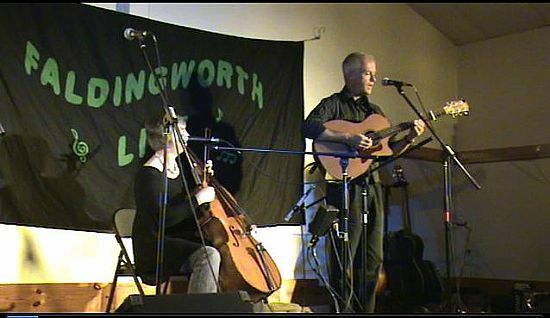 The band from L to R: James Horne (flute and pipes), Sophie Horne (Clarsach), Marjorie (cello), David (guitar). 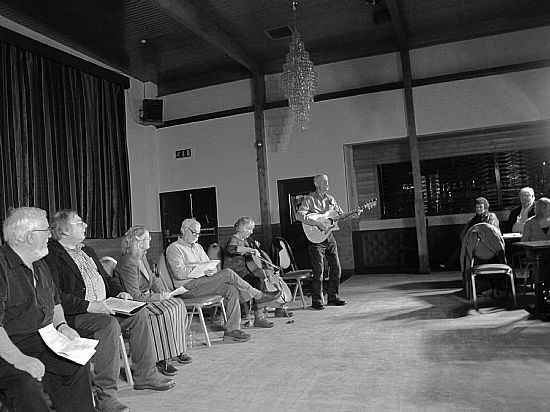 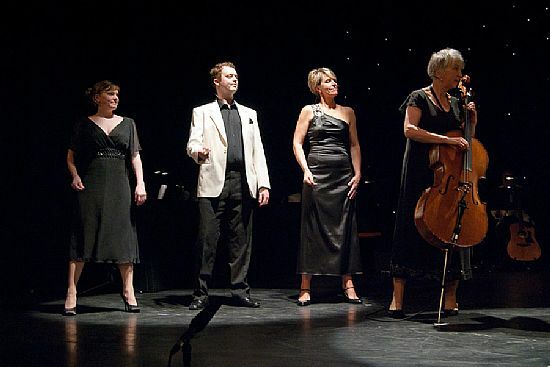 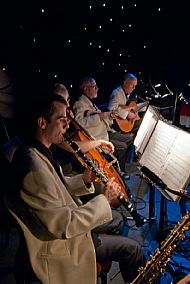 Concert at the Courthouse, Otley, October 2007. 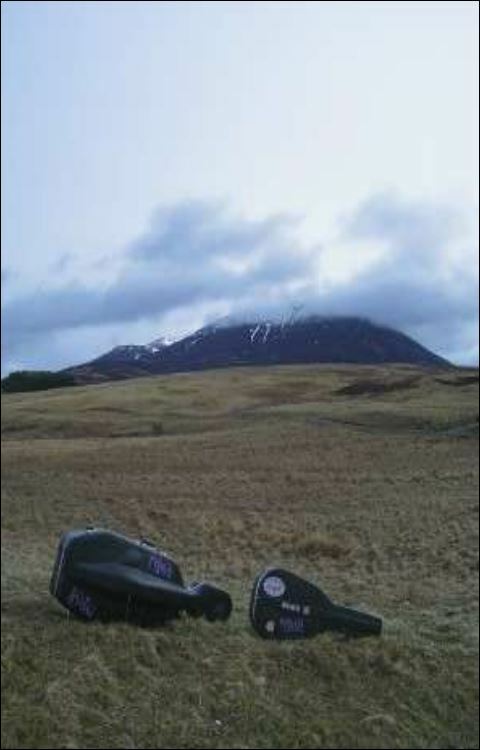 July 2005 in platform soles! Where did that helicopter come from? 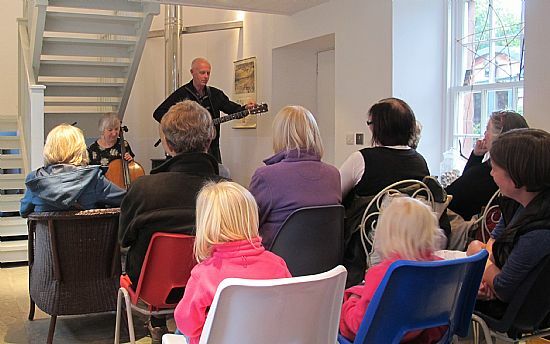 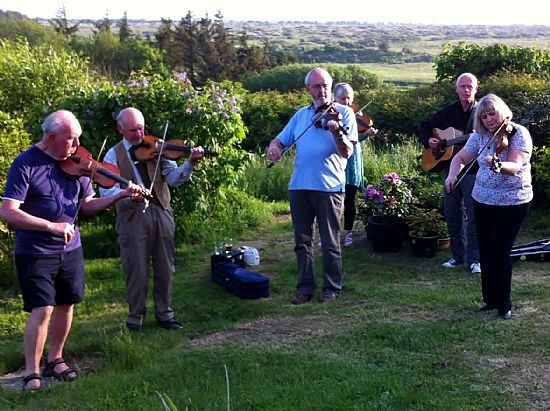 Fyrish as part of the 'Wall2Wall' band getting ready for a festival in Denmark, May 2014. 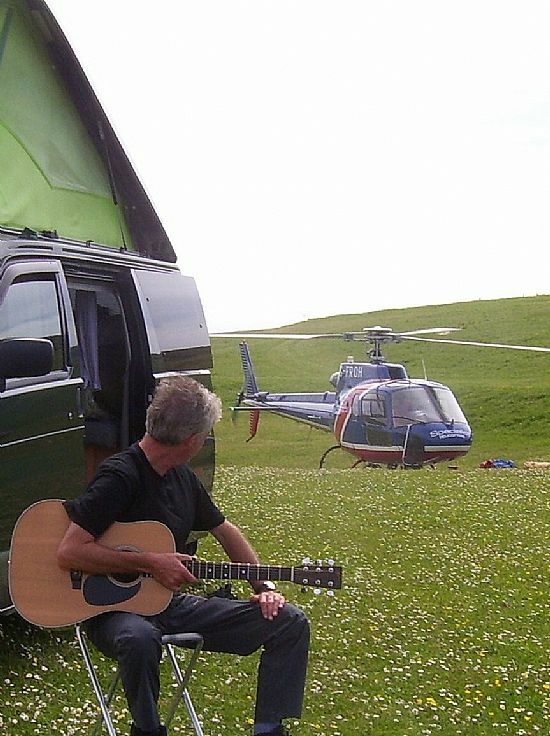 Stopping off for a tune in the hills on the way to Barra 2006. 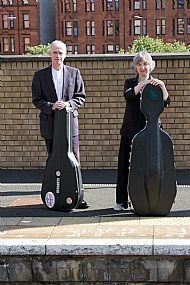 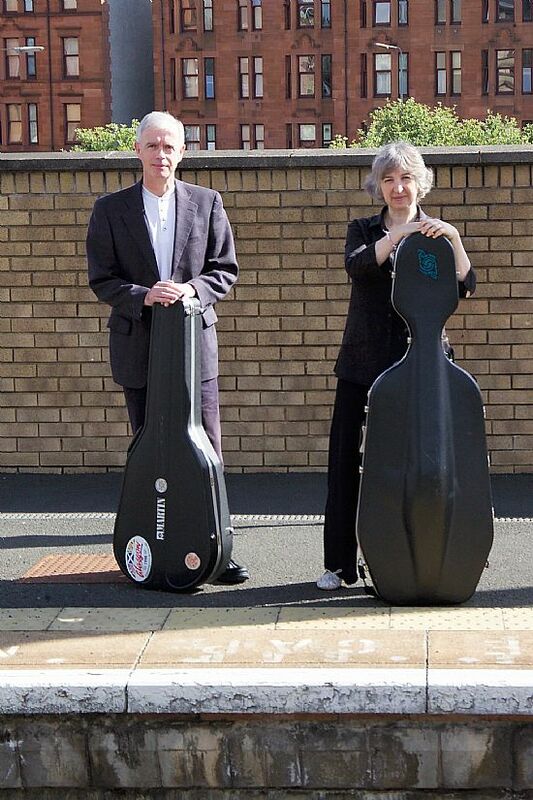 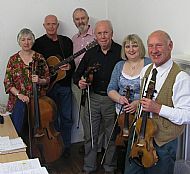 Artist's Impression of the Wall2Wall Band. 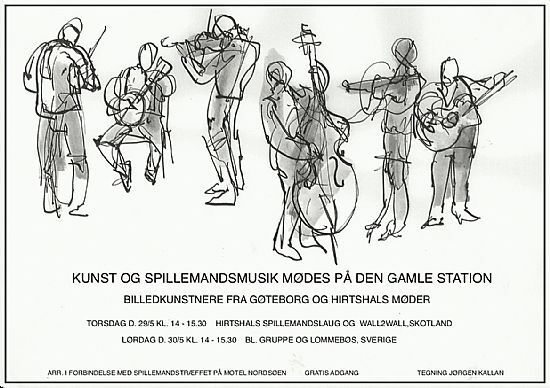 Poster for a festival in Denmark, May 2014. 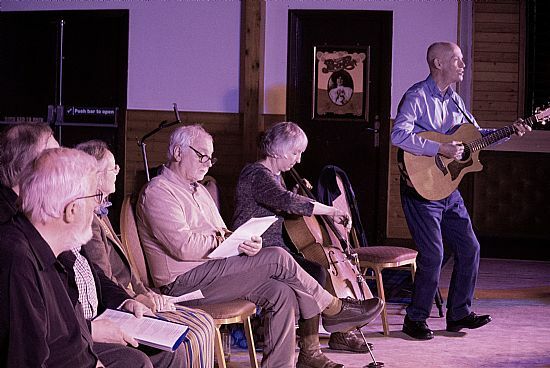 Fyrish as part of the Wall2Wall band at the Spillemandsfestival in Hirtshals, Denmark, 1st June 2014. 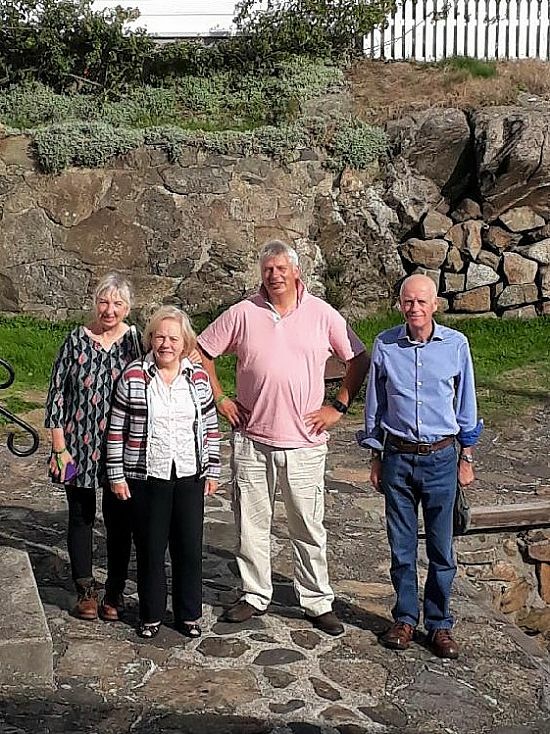 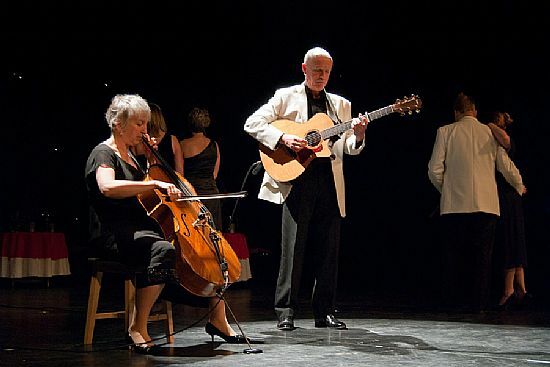 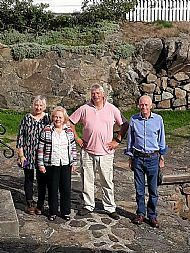 From L to R: Doug Stuart, David Broughton, Alistair Hourston, Marjorie Paterson, David Cowan, Jean MacKay. 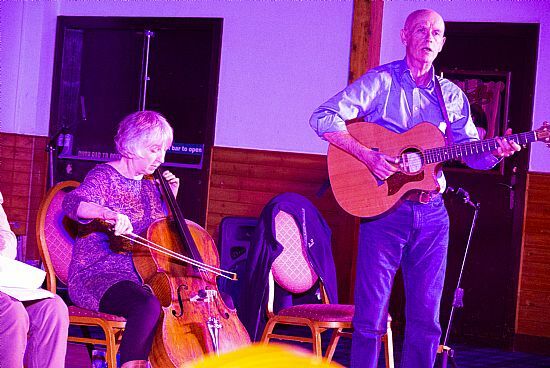 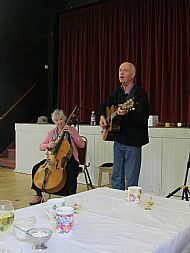 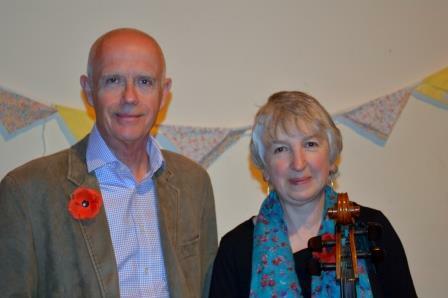 At the Fisherfolk festival, Balintore, June 2015, singing songs from the First World War. At the Gluren bij de Buren concert in the Annex on Church Street.